CUPED Corp., a nonprofit real estate and economic development company founded by Melissa Goins, has purchased the Reader’s Choice building, located on the southeast corner of Dr. Martin Luther King Jr. Drive and Brown Street. The building has been vacant since early July when owner Carla Allison closed her store after 28 years and retired. It was the last African-American owned bookstore in Wisconsin. CUPED will redevelop the building for tenants Jazale’s Art Studio and Grateful Girls, both nonprofits working to improve the lives of Milwaukee youth. 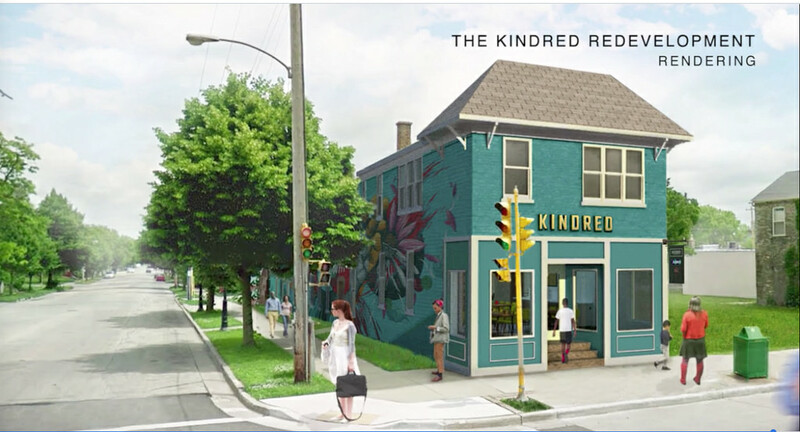 The redeveloped building will be named “Kindred” after a novel by one of developer Joanne Sabir’s favorite authors, Octavia Butler. The science fiction work includes time travel back to the era of slavery and is about “how, over time and space, we are all connected,” Sabir said in a video about the project. She is an entrepreneur and CUPED Corp. board member. The purchase came about when Vedale Hill, Jazale’s co-founder and art director, asked Goins to help find a larger and more stable home for the nonprofit, “a multi-function community art hub,” which offers free after-school art and education programming and mentoring for city youth. Founded in 2012, Jazale’s moved from its original space at 711 E. Center St., in 2014. 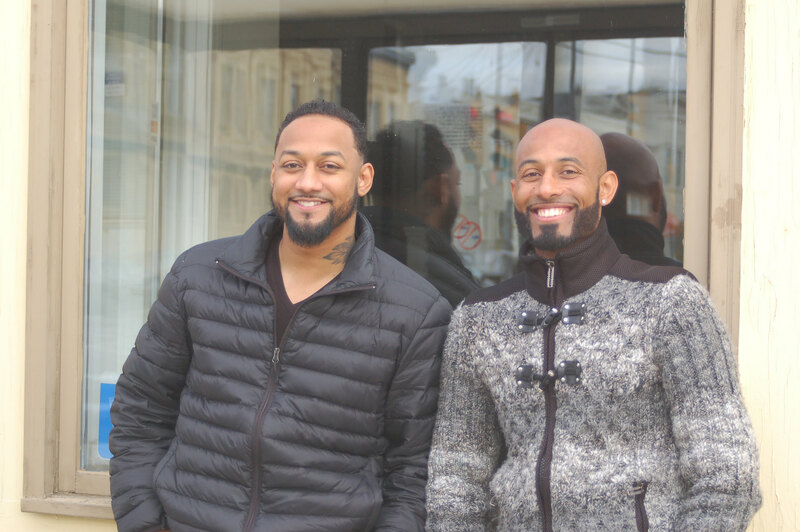 The Hill brothers stored their furnishings and equipment, and took Jazale’s to the city’s Painting with Purpose project, while it searched for a new location. Jazale’s relocated to the Halyard Building, 2201 N. Dr. Martin Luther King Drive, in spring 2015. Initially, Goins and the Hill brothers considered purchasing that building but when negotiations stalled, they expanded their search. “Melissa Goins has been a huge force” in helping the Hill brothers think about the future and also about partnerships between the tenants and developers, he added. Vedale Hill said that the arrangement “could be the catalyst for our sustainability.” The organization’s mission is “to give kids a great place to be and to give artists great opportunities to work with youth and grow as artists,” he added. One of Jazale’s long-term goals for Kindred is ownership, said Darren Hill, Vedale’s older brother and Jazale’s co-founder and executive director. “Joanne and Melissa know that and they always speak about legacy, about ownership. They see this as a stepping-stone and … if that becomes a viable step for the organization, they would be willing to sell. That’s when we (would) have real security as a program,” he said. Darren Hill said he expects to move to Kindred in spring 2018. Jazale’s will occupy about two-thirds of the building, including the first floor, the basement and a large second-floor balcony. Grateful Girls, which helps at-risk and formerly trafficked girls ages 12 to 24, will rent the second floor of Kindred to expand its program. Already operating a safe haven group home and a community resource center at other locations, it will add Work It Girl, an employment training program, in the new location, according to Chandra Cooper, Grateful Girls executive director. 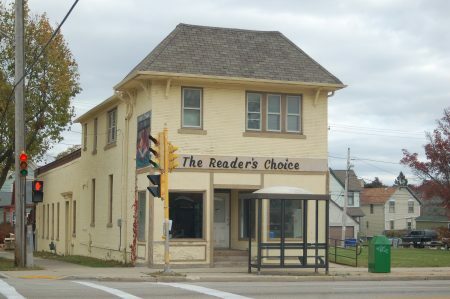 In fall 2018, Grateful Girls plans to open a retail store, The Queens Closet, selling consigned and new clothing and accessories for young women in the Sherman Phoenix building planned for the former BMO Harris Bank Building at 3536 W. Fond Du Lac Ave. Grateful Girls also plans to start a catering business at Kindred. There is a small kitchen on the second floor. Cooper said the girls will also use catering clients’ kitchens for food preparation. The training for catering also will be open to boys. Art plays a large role in the healing process for the girls Cooper’s organization serves and she plans to collaborate with Jazale’s Art Studio program. The retail job training program, which will include resume building, professionalism, customer service and on-site job interviews, is open to all girls in the community. In the video Goins explained that CUPED stands for Cultivating Urban Plan and Economic Development. Its goal is to bring pride and hope to people and allow them to leverage CUPED to make things happen. I’m elated for this project & look forward to welcoming our new neighbors!!! I’m excited about the good news!